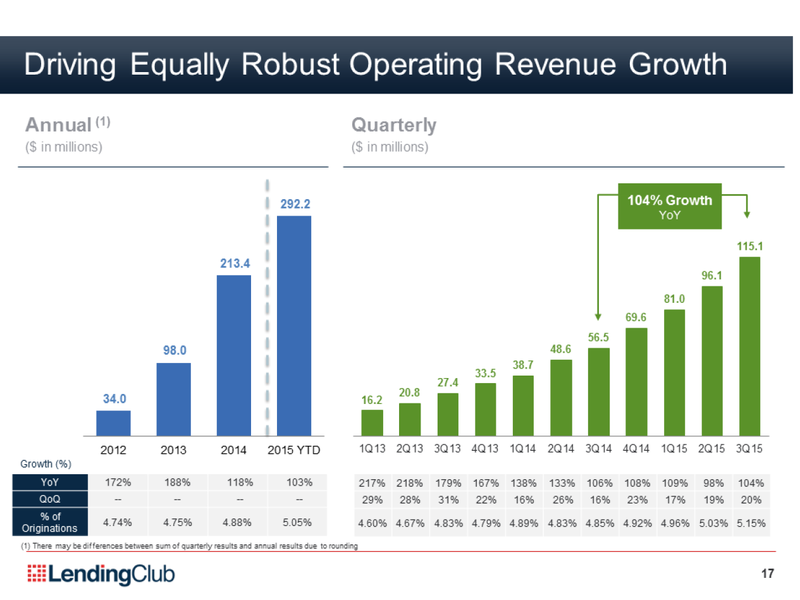 Lending Club today published the results for the 2nd quarter. Chinese billionaire Chen Tianqiao has bought a close to 12 percent stake in Lending Club. Singapore-based private investment group Shanda Group, which is led by Chen, said on Monday that it saw the online lender’s battered stock as an attractive buying opportunity. The sale of the 11.7 percent stake comes as growth in Lending Club’s loan originations is slowing and regulatory interest in the sector is increasing. Lending Club shares were up in yesterday’s trading. The stock had fallen more than 40 percent since the May 9 announcement of Chief Executive Officer Renaud Laplanche’s resignation after an internal investigation found the company had knowingly sold 22 million US$ of loans that did not match the buyer’s specifications. ‘We have been in discussions with Shanda regarding their investment, and we look forward to a continued dialogue with them,’ a Lending Club spokesman said. The company bought a total of about 29 million Lending Club shares for $148.7 million. It also has call options to buy 15.7 million shares for $11.2 million. Some of the shares were bought before Laplanche’s resignation but the bulk of the purchases were conducted after May 9th. Today’s news that Renaud Laplanche, founder of Lending Club, resigns came as a surprise for me and I think pretty much everybody else in the industry. Renaud Laplanche steered Lending Club from launch to the position it as the largest marketplace lending service for consumer loans in the US. The board has reportedly asked for his resination after an investigation into a sale of 22 million US$ in loans to an institutional investor that mismatched the investor’s criteria. The loans were subsequently repurchased by Lending Club. 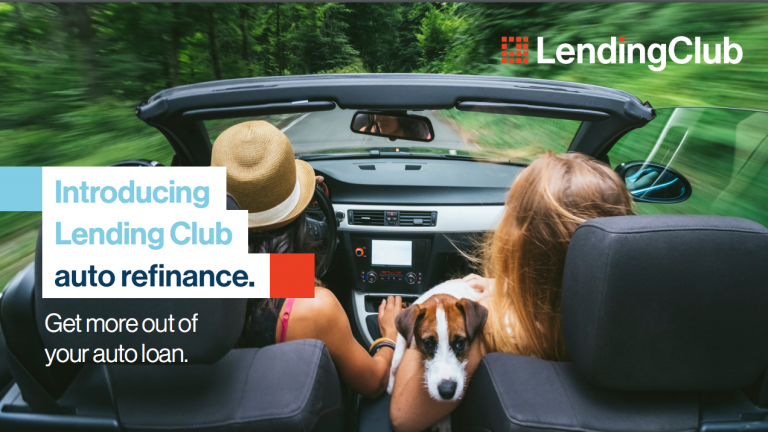 Lending Club conducted a review, under the supervision of a sub-committee of the board of directors and with the assistance of independent outside counsel and other advisors, regarding non-conforming sales to a single, accredited institutional investor of $22 million of near-prime loans ($15 million in March and $7 million in April). The loans in question failed to conform to the investor’s express instructions as to a non-credit and non-pricing element. Certain personnel apparently were aware that the sale did not meet the investor’s criteria. In early April 2016, Lending Club repurchased these loans at par and subsequently resold them at par to another investor. As a result of the repurchase, as of March 31, 2016, these loans were recorded as secured borrowings on the Company’s balance sheet and were also recorded at fair value. The financial impact of this reporting is that the Company was unable to recognize approximately $150,000 in revenue as of March 31, 2016, related to gains on sales of these loans. The review began with discovery of a change in the application dates for $3.0 million of the loans described above, which was promptly remediated. The board also hired an outside expert firm to review all other loans facilitated in the first quarter of 2016 and the firm did not find changes to data in these or other Q1 loans. The review further discovered another matter unrelated to the sale of the loans, involving a failure to inform the board’s Risk Committee of personal interests held in a third party fund while the Company was contemplating an investment in the same fund. This lack of disclosure had no impact on financial results for the first quarter. Given the events above, the Company took, and will continue to take, remediation steps to resolve the material weaknesses in internal control over financial reporting identified in the first quarter of 2016 — one related to the sales of non-conforming loans and the other to the failure to disclose the personal investment interests — and to restore the effectiveness of its disclosure controls and procedures. These remediation steps included the termination or resignation of three senior managers involved in the sales of the $22 million of near-prime loans. Scott Sanborn will continue in his role of President and will become acting CEO. The LC stock is currently trading 25% down following the news. Lending Club reported the results for the 3rd quarter today. Originations – Loan originations in the third quarter of 2015 were $2.24 billion, compared to $1.17 billion in the same period last year, an increase of 92% year-over-year. The Lending Club platform has now facilitated loans totaling over $13.4 billion since inception. Operating Revenue – Operating revenue in the third quarter of 2015 was $115.1 million, compared to $56.5 million in the same period last year, an increase of 104% year-over-year. Operating revenue as a percent of originations, or revenue yield, was 5.15% in the third quarter, up from 4.85% in the prior year. Adjusted EBITDA – Adjusted EBITDA was $21.2 million in the third quarter of 2015, compared to $7.5 million in the same period last year. As a percent of operating revenue, Adjusted EBITDA margin increased to 18.4% in the third quarter of 2015, up from 13.3% in the prior year. Net Income – GAAP net income was $1.0 million for the third quarter of 2015, compared to a net loss of $7.4 million in the same period last year. GAAP net income included $13.5 million of stock-based compensation expense during the third quarter of 2015, compared to $10.5 million in the prior year. Earnings Per Share (EPS) – Basic and diluted earnings per share was $0.00 for the third quarter, compared to basic and diluted EPS of ($0.12) in the same period last year. Adjusted EPS – Adjusted EPS was $0.04 for the third quarter of 2015, compared to $0.02 in the same period last year. Cash, Cash Equivalents and Securities Available for Sale – As of September 30, 2015, cash, cash equivalents and securities available for sale totaled $918 million, with no outstanding debt. Lending Club opened to retail investors in nine new states, bringing investor base, which is very sticky, to over 100,000. Small business loans grew in line with expectations. Traditional banks do not benefit from network effects. Lending Club on the other hand does benefit strongly from network effects. All these dynamics lead to lower acquisition costs and higher margins. Decrease in returns (approx 1%) is due to network effects allowing Lending Club to pass some benefits in form of lower interest rates to borrowers. This is also enabled by high investor demand. Custom loans are stable quarter of quarter. 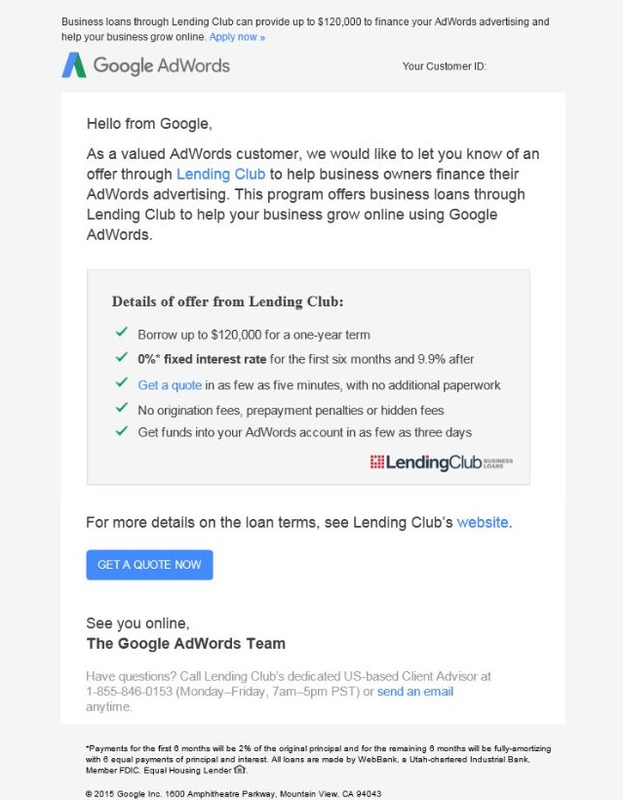 Lending Club has not transferred loans to the standard product. On the question if there is an increase on fraud attempts, Lending Club responded that there was no increase in attempts or frauds committed. Laplanche is not surprised that new platforms might experience a rise of attempts. Does Santander exiting consumer loans have any impact on the relationship between LC and Santander? Santander was a great partner and accounted for a single digit percentage of volume. Lending Club has replaced Santander with other institutional lenders. The very diverse investor base of Lending Club is seen by Laplanche as a competitive advantage over newer platforms. Madden has no direct impact on the investor base of Lending Club. Are whole loans growing faster than originations? The mix is a function of the mix and appetite of the investors behind it. Today Lending Club announced that it opens to investors from Texas and Arizona. Lending Club is now open to retail investors from 30 US states.